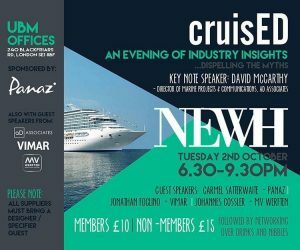 On Tuesday this week, NEWH held an event dedicated to the Cruise Industry – an expanding market place which is currently seeing unprecedented levels of growth. Guest speakers attended from aD Associates, MV Werften, Carnival Cruises, Vimar and Panaz. The evening was really well received by designers and suppliers alike. The UBM offices (also the offices of the Sleep + Eat event team) offered a brilliant location in central London, and the speeches were informative and interesting. The NEWH organises events to raise scholarship funding for eligible students in the hospitality industry. They are also committed to Education, Leadership Development and Business Networking. We have long been fans of the cause and the work they do, and the success of this week’s event we are sure is a sign of great things to come. 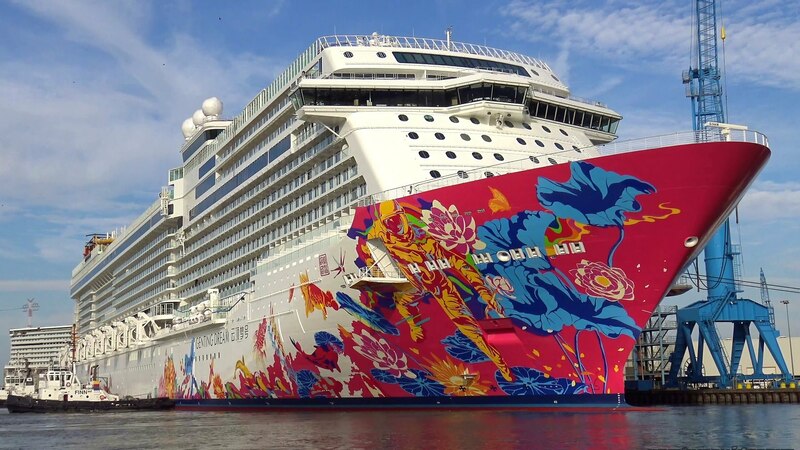 We were extremely proud to see one of our latest Cruise Ship projects, the Genting Dream feature in the presentation by MV Werften who built it. SMC Design were responsible for the full Interior Design scheme, and working closely with them we supplied the ship with a complete artwork package for Cabins and Public Areas. Please feel free to head over to our projects page to see more -> Genting Dream.